Amazon has just informed me that the release has been cancelled. I hope this is only a postponement and not permanent. Bummer. I hope you’re right about it only being postponed. 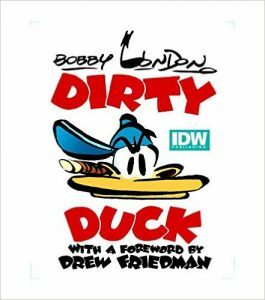 The IDW site now says the book will be published in July 2018. The “Coming Soon!” headline on that page seems a bit rich, all things considered, but it looks like there is still hope. It’s been more than a year since I first sent word about this still-unpublished book — but apparently there is light at the end of the tunnel. Bobby London posted a comment on Aug. 25 on his Facebook page that the project continues “apace.” So it looks like something will be published at some point.